Details:Rajasthani Blue Zari Belt (Kamarbandh) is wear on sherwani by groom in marriage. Groom Belts (Kamarbandh) can also be used for holding Sword of Groom. 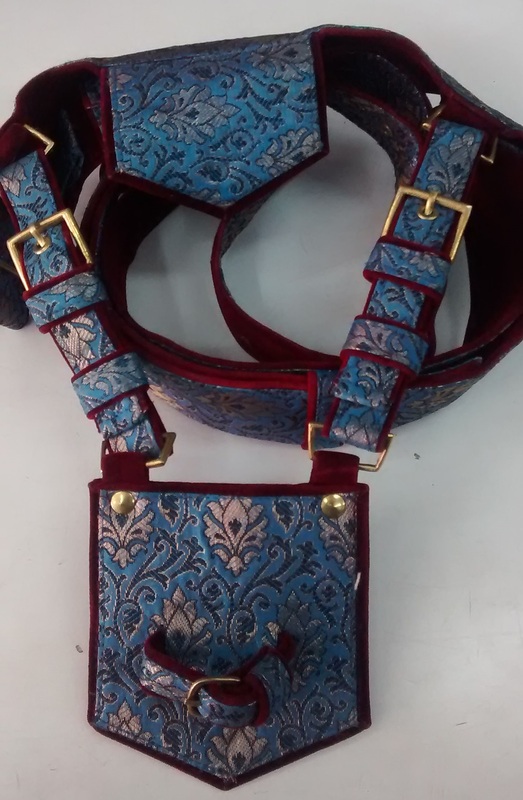 This belt have blue zari work and is very comfortable. It cover from shoulder to waist in a cross pattern.